A retired 30-year partner with the Dorsey & Whitney law firm, Prichard has been a Parks & Trails Council member for more than 20 years. He has served as an officer on the board of directors with a few respites since 1988 and was its president from 1991 to 1994. He is currently the chair of the land acquisition committee. A lifelong outdoor recreation enthusiast, Prichard traces his appreciation of nature and the outdoors back to his parents. According to Parks & Trails Executive Director Dorian Grilley, Prichard’s peers chose him for the award for obvious reasons. “Like the great Reuel Harmon Award recipients before him, Mike has worked tirelessly and often anonymously to assure that our outdoor treasures will be preserved for the public’s enjoyment now and in the future,” Grilley said. Prichard has worked on several high profile projects including helping to purchase the critical land that enabled the creation of Grand Portage State Park on the extreme eastern tip of Minnesota’s Arrowhead region. 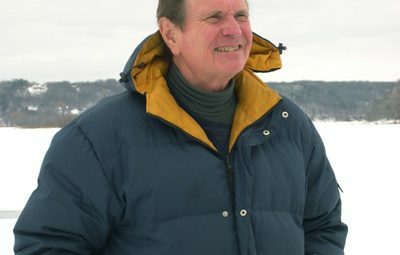 He also played a key role in protecting the land near the mouth of the Crow River at Crow Wing State Park where the threat of development would have negatively changed that park forever. A humble man who downplays his role in projects, Prichard is proud of how the Parks & Trails Council came together to head off that private housing development effort in 1993. True to his conservation values, Prichard knows his work is never done.